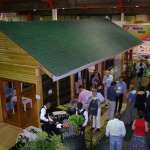 The Interbuild exhibition in Johannesburg in September provided a platform to showcase timber in construction in a full-scale timber frame home which was erected in one of the exhibition halls. The idea was first put forward by the Institute of Timber Frame Builders (ITFB) and the exhibition house was coordinated as a joint venture by the Wood Foundation and the Institute of Timber Construction (ITC) so that all aspects of timber construction could be displayed. 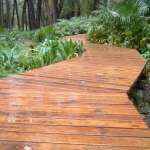 The Timber Marketing Forum (TMF), subject of much discussion in the timber industry in recent months, has been officially constituted following the inaugural general meeting held in June in Johannesburg. The TMF is constituted as a non profit organisation with associate and affiliate membership open to industry associations, companies and individuals.